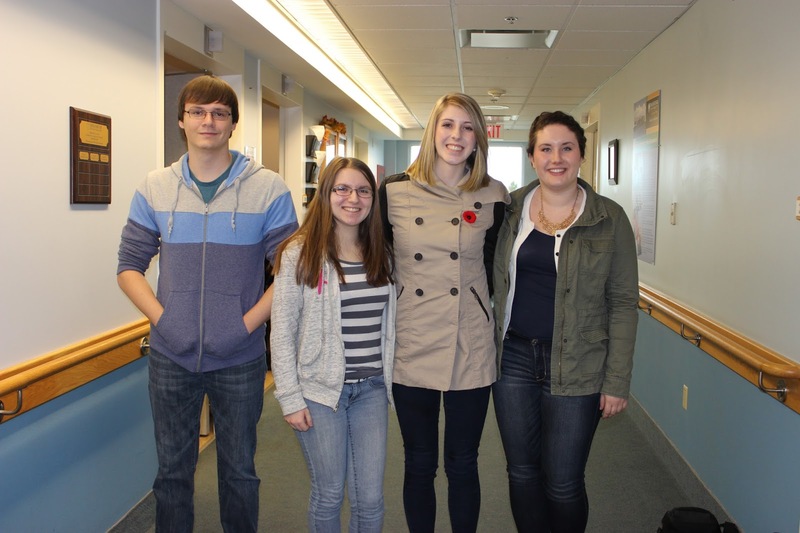 Grade 12 Blackville High School students Ashlyn Moody, Laura Jardine, Abigail Hennessy and Dylan Keenan went to a presentation at the Miramichi Regional Hospital on Tuesday, November 3. The Gairdner presentation was hosted by Dalhousie Medical School and was sponsored by Royal Bank of Canada (RBC). Dr. Lynne Maquat spoke about her research concerning genetics, specifically ribonucleic acid (RNA). The presentation also included information on pursuing careers and research in the field of science. This is the first year that they held the presentation in New Brunswick. The presentation took place in Fredericton and was streamed live. Schools from Miramichi, St John, Waterville and Moncton all joined the presentation and were able to ask the scientists questions about their careers and research. Dr. Maquat is the 2015 Recipient of the Canada Gairdner International Award. For more information on Dr. Maquat and the Gairdner Foundation, click here.